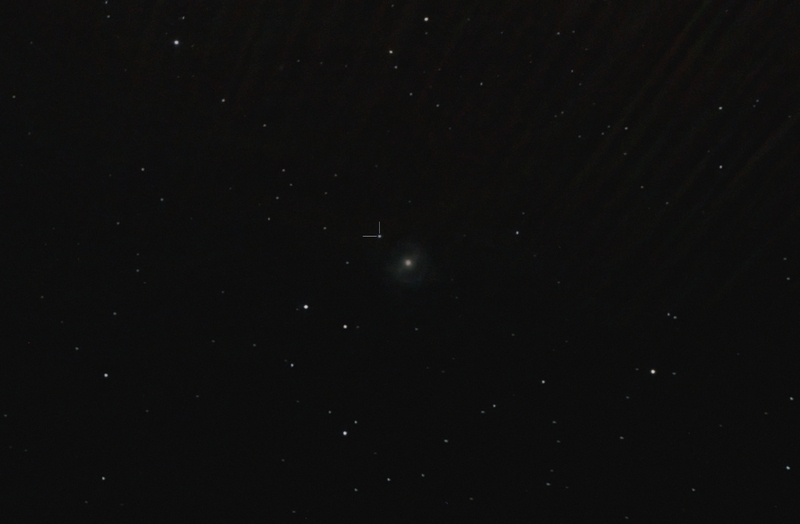 Supernova is marked with lines at the 10:00 position relative to the galaxy core. Processing Calibration, stacking and DDP Images Plus . Masked noise reduction applied in Paint Shop Pro . Background blobs removed . The lines at the top of the image are due to light from Mars just outside the frame.